It’s a major cause of death, yet few of us have ever heard of it. Sepsis occurs when a patient’s immune system overreacts to an infection, triggering a potentially fatal, system-wide inflammation. Severe sepsis strikes about 750,000 Americans each year, most of them older and often ill, with as many as half of these patients dying as septic shock shuts down their organs. 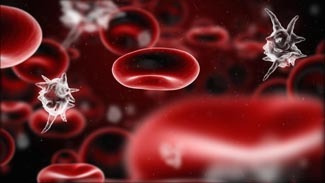 Furthermore, patients in many Southern states are about twice as likely to develop sepsis for reasons unknown. “While Americans are terrified of heart attacks, strokes and cancers, they know nothing about sepsis,” says Henry Wang, M.D., vice chair for research in the Department of Emergency Medicine at University of Alabama at Birmingham. He is also lead author of a study published this week in the journal PLOS ONE that provides the first clues about why sepsis is more common in some regions of the United States. Having chronic lung, kidney or heart disease, it turns out, more than doubles your risk of future sepsis. The new study also found that having had a stroke increases the risk by 85 percent and having diabetes pushes risk up by 71 percent. Worse yet, the risks from each condition are additive. The effort to understand and counter sepsis is gaining momentum now thanks to a perhaps unexpected information source: the large stroke study called REGARDS (Reasons for Geographic and Racial Differences in Stroke). The study, led by UAB researchers, has followed traits and causes of death in 30,000 black and white middle-aged adults for nearly eight years. Its mission is to understand why stroke is more common in a cluster of 11 southeastern and mid-Atlantic states, the so-called stroke belt. "While Americans are terrified of heart attacks, strokes and cancers, they know nothing about sepsis." Wang’s team was able to use the same REGARDS data in a 2010 study to reveal that sepsis is twice as common in the stroke belt — and in the current study, to provide the beginnings of an explanation. In general, the just-published REGARDS Sepsis Study found that sepsis risk is most closely associated with older age, with lower education and income, and with smoking and drinking alcohol. Men are also at greater risk than women, according to the new analysis, and whites have a higher risk than blacks, which “flies in the face of the current understanding,” says Wang. Perhaps blacks in the sepsis belt are less likely to report an infection or lack access to care, Wang suggests, but the team awaits a more complete data analysis to unravel this puzzle. The study in PLOS ONE provides the first evidence pointing to factors that increase risk of future sepsis, but it does not yet explain why sepsis overlaps with stroke and other chronic diseases. One theory, says Wang, is that the overlap is caused by chronic inflammation in the cells lining the blood vessels. The mechanisms causing arteries to become diseased may over time make the immune system hypersensitive to viral, bacterial and fungal infections. Long before researchers define the underlying disease mechanisms, however, understanding the risk factors may enable the design of new public health interventions, including awareness campaigns. Current anti-sepsis initiatives focus on acute care, with emergency room staff employing the “sepsis bundle,” a series of steps that includes aggressive administration of antibiotics, IV fluids and blood pressure-boosting medications. Despite the bundle’s effectiveness, many emergency departments still “fail to take all of the steps, or to take them quickly enough,” says Wang. Hospitals need to avoid these crises altogether by concentrating on long-term prevention — but almost no resources today are focused on that goal. Fifty years ago, few Americans knew much about cancer either, but now it’s a household word, says Wang. In the intervening years, researchers conducted massive studies to see which traits — age, weight, race, smoking status and more — matched up with a person’s risk for this major cause of death. Knowing the risk factors changed medical practice and launched decades-long awareness campaigns that have achieved some of the most significant U.S. public health gains ever. “If public health experts start bringing attention to the risk of life-threatening future infections in tandem with messages on major chronic diseases, they may become able to even more powerfully motivate lifestyle change,” says Wang. The authors emphasize that the current study does not establish any chronic disease as a cause of sepsis. Should such connections be established, however, things like glycemic control, smoking cessation and aggressive vaccination could become recognized as protective against both chronic diseases and sepsis. What obesity does to sepsis risk is the subject of a separate REGARDS-based study by the UAB team, which is expected out shortly. The current sepsis study was supported by grants from the National Institute for Nursing Research and the National Institute of Neurological Disorders and Stroke.